Our friendly nail team is fully licensed by New York State and offers quality service in all areas of nail care. At Symmetry we take your well being seriously; all of our implements are sterilized before each use in a medical grade autoclave. 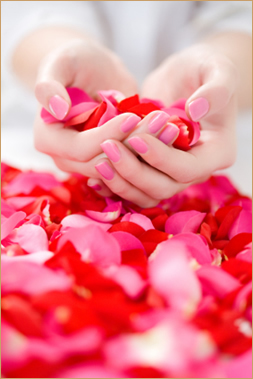 Whether it be our beautiful pink and white sets or our relaxing spa pedicures, we always offer the highest level of service our valued clients have come to expect.So let our nail technicians provide your hands and feet with the finest in nail therapy. For your convenience Symmetry carries both O.P.I and Essie polishes.